2016 was quite a year at OwnerListens. We passed the 12,000 businesses mark, added some marquee customers (hey 49ers!) and launched some awesome capabilities such as landline texting, Zendesk integration, Google Analytics support, Google Tag Manager and much, much more. Texting with customers was legitimized by Facebook Messenger’s launch of chatbots (in which we participated) and suddenly no one questions anymore whether businesses should be texting with their customer. It’s a matter of when, not if. Exciting times! As we were discussing what to write in our year end post, we realized that the technology we build is not the story. It’s what our businesses do with our technology that is interesting. Instead of a post with lots of numbers and a bunch of tech jargon, we decided to highlight a few of the businesses using our technology to make their customers happy. That’s what it’s all about. Here’s a selection of five businesses that have made great use of texting with customers on OwnerListens. We’re proud to help them make their customers happier. The city of Santa Clarita (located Northwest of LA) consistently ranks among the best places to live in the US. It could be the California weather, the good schools, or the proximity to Magic Mountain but we think it at least partially has to do with West Coast Music Academy. 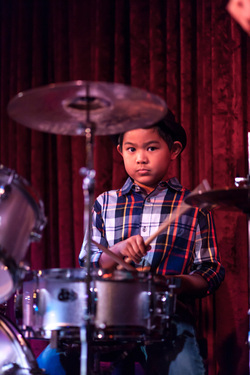 West Coast Music Academy provides music lessons to kids and adults of all ages. It offers lessons in musical instruments as well as voice lessons. Researching music lessons is often done while customers are busy juggling something else. They might be at work or trying to get a task done in between picking up kids from other activities. That’s why West Coast Music Academy uses Message Mate texting. Customers reach out to ask about pricing, availability, and information about teachers and programs from wherever they are. They don’t have to stay on the website; They can continue to go about their day as they receive a reply and have a conversation. Is there a referral program for Lifted View? Sure there is! 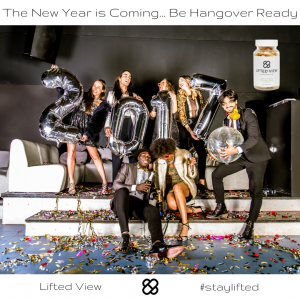 Lifted View provides natural supplements for sustained focus & anxiety reduction, benefits we could all use in our hectic lives. The product is made in California and sold all over the United States. 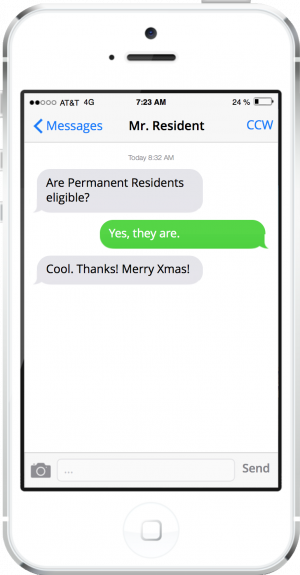 To be accessible to all their customers, Lifted View opted for a toll free texting number. To ask product questions – Lifted View’s website has ample information about the product and the company but it can’t cover everything or it would be too dense. Additionally, as we all know, most shoppers don’t have time or patience to read through every single page of a website to find a specific answer. This is especially true these days when many people are shopping from their mobile device. With texting, anyone with an unanswered question can simply text it and get an immediate answer. To ask questions related to their monthly subscription – Lifted View has a unique business model in place to optimize customer convenience and its revenues: monthly subscriptions. This creates a recurring relationship that requires providing first class customer service. With texting, Lifted View’s customers never have to wait on the line or fill out annoying forms. The Lifted View team sent us this holiday card. They certainly look ready for 2017! Can you help me if I’m from out of town? Sure can! MyShape Lipo is a specialty liposuction clinic located in Las Vegas, Nevada. Because Las Vegas is a national destination city, My Shape Lipo caters to customers from around the country. Often, those customers are planning their visit ahead of time and want to connect on their own time (and time zone). Texting is a great channel for this purpose. My Shape Lipo’s out of town customers find it especially valuable. Responding quickly to customers on their phone is a great way to start creating trust when customers don’t know your business yet and have never dealt with you before. There is something very personal about texts (unlike emails). 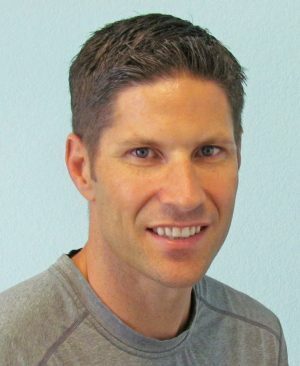 For Trevor Schmidt PA-C, owner of My Shape Lipo, adding a texting channel just made sense; Some customers really want it and it’s yet another way for people to connect with our team. For businesses who love their customers more ways to communicate are a no brainer. 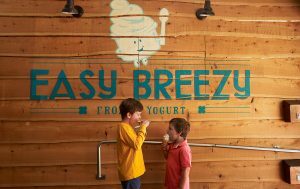 Easy Breezy is a San Francisco based chain offering organic, premium self-serve frozen yogurt. It was founded by a former tech executive looking for a family friendly, environmentally sustainable, and healthy frozen yogurt alternative. When she couldn’t find one, she started it herself. Today Easy Breezy is three locations strong with more forthcoming in 2017. You may wonder what use would customers have for texting a froyo shop? 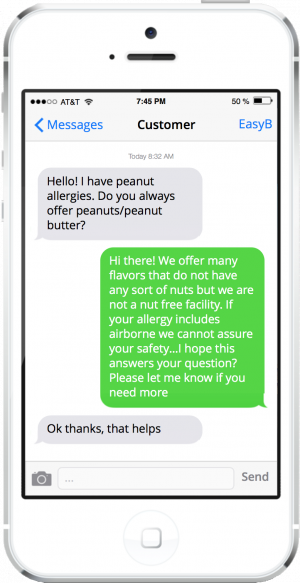 Well, our experience working with Easy Breezy proves that when you’re trying to create a friendly, neighborly feel for your business, communicating with customers is key and today’s customers want to communicate via texts. Easy Breezy frequently receives questions about that week’s specials, inquiries about catering, and requests for new branch locations. Easy Breezy also solicits feedback via texting, both good and bad. Feedback helps Easy Breezy praise employees for the positive comments and improve on the negative ones. Feedback is also acted upon on an individual level; Patrons who have a valid complaint are typically offered a free return visit to make sure they end up with a positive experience and a favorable view of the brand. An Easy Breezy in San Francisco. That looks yummy! Virginia CCW’s business could literally save lives. It provides an online gun safety course to qualify for both resident and non-resident Virginia Concealed Handgun Permits. Gun safety is especially important during the holidays when accidental and unintentional shooting are at their highest. Customers considering taking the online certification are people who like efficiency (that’s why they do the course online) and they expect the entire process to be smooth and painless. They also often have questions about the safety training certification and the permit carry process. Quick responsiveness is key with this audience. “It is a lot easier for both the customer and myself to simply text back and forth while on the go and kind of has a personal touch to it where it feels like texting a friend a question”. 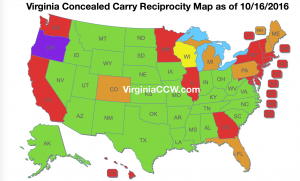 Bet you didn’t know that a Virginia Concealed Carry Permit is valid in 33 states. Just one of the awesome tidbits you learn working at OwnerListens. There you have it. Five completely different businesses in a variety of industries and geographies, all using texting with customers in slightly different ways. But, there’s one thing they all have in common – the end result – happier customers. That’s why we’re here, that’s what this is all about. We wish all our businesses and all their customers a prosperous, rewarding and happy new year!